I love Ecuador for its colonial cities, natural beauty, and mixture of Spanish and indigenous culture. Visitors can also enjoy the friendliness of the locals, and some of the lowest prices in South America – if you exclude the Galapagos Islands. Fortunately, there is much more to Ecuador than the Galapagos. This deceptively small country is bisected north to south by the tall peaks of the Andes, so travelling a few hundred kilometers (as the crow flies) can take all day. 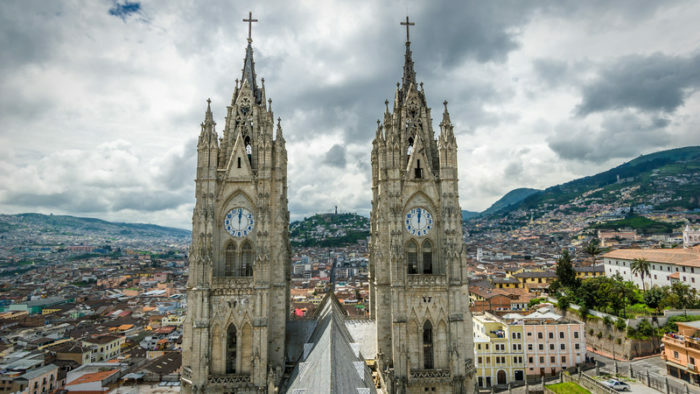 Fortunately, Quito has a lot to see and do. And within just a few hours of the capital, various compelling destinations can be visited. After living and traveling around Ecuador for four months, here are seven destinations I recommend. 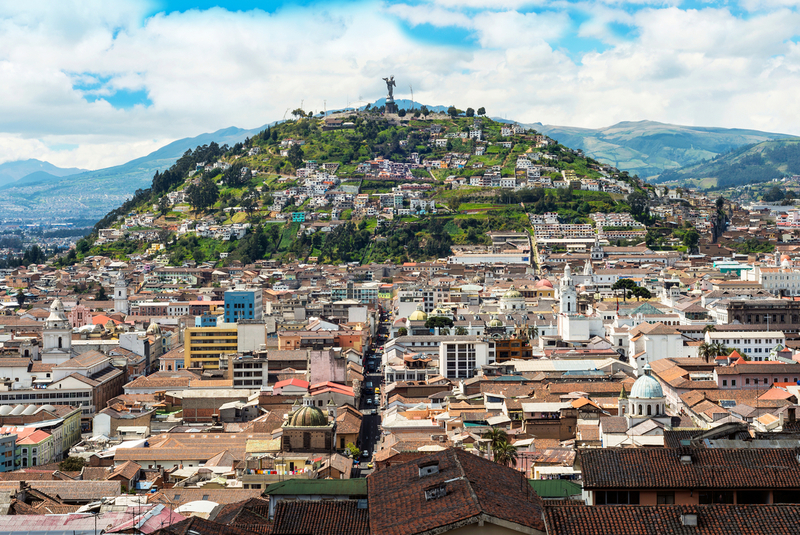 Located at an altitude of 2850 meters (9350 feet), Ecuador’s colonial capital leaves you breathless, literally. Most sights of interest are located within the colonial center, a UNESCO World Heritage Site. Walk down lively pedestrian streets, through plazas, and past colorful Spanish colonial buildings embellished with balconies and arches. Churches appear on almost every corner, but the most ornate are San Francisco Church and especially Compañia de Jesús, all gilded in gold leaf. For dinner, head to La Ronda, a cobblestone street lined with whitewashed buildings. You will find many restaurants serving typical Ecuadorian cuisine to the sound of live musicians. Once you’ve acclimatized to the altitude, ride the telefériQo (cable-car) up the flank of Pichincha volcano to a height of 4100 meters (13451 feet) for an expansive view over the city and surrounding countryside. 20 minutes north of Quito, the Mitad del Mundo monument straddles a painted line that represents the equatorial divide between the northern and southern hemispheres. Recent technologies have actually determined the real equator to be 240 meters (787 feet) north of this line. Yet, most people can’t resist having their photo taken with a foot in each hemisphere. 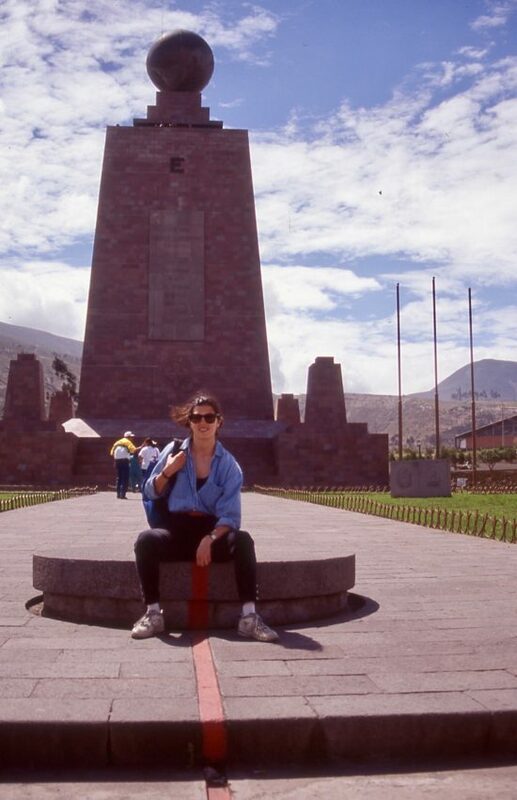 Take the elevator to the top of the monument and enjoy views of both hemispheres, including the Andean mountains. Private museum Solar Intiñán runs “scientific” experiments showing the effect of being on the equator, as well as various aspects of indigenous culture. There is also an Ethnography Museum and Planetarium nearby. On weekends, local folk music and dance shows add to the entertainment. READ MORE: WHICH SOUTH AMERICAN COUNTRY IS RIGHT FOR YOU? Feel like soaking in some hot springs? No need to go all the way to Baños. The Termas de Papallacta spa is only one hour east of Quito, making it an easy day trip. At 3250 meters (10663 feet), the air is chilly and the sun is fierce. Located between the Cayambe and Antisana volcanoes, on the bank of the Papallacta River, the spa offers many odorless thermal pools of different sizes and temperatures (some with water jets), and three cold pools. Soak in the beautifully landscaped baths while admiring the surrounding mountains. The spa also offers hydro massages using water jets or air bubbles, facials, reflexology and aromatherapy. Book those in advance to guarantee a spot. You can also take guided or self-guided walks along the many nature trails on the property, which is home to 160 species of birds, some native animals, and of course various plants and flowers. A two-hour downhill bus ride from Quito brings you to Mindo, a small town surrounded on all sides by cloud forest. At an altitude of 1200 meters (3937 feet), the air is warm and humid, and the frequent rains paint the surroundings an intense shade of green. Birders will be in heaven, as the region is home to 450 species of birds. 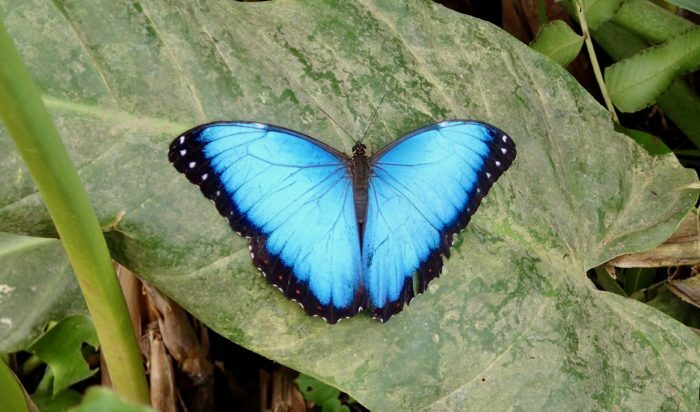 You can visit a butterfly farm where hundreds of exotic butterflies flit around you within a netted enclosure, or take a guided walk in an orchid garden. If you’re feeling adventurous, go zip lining, or take a taxi to the Tarabita, a manually operated open-air “cable-car” that glides over the canopy to Santuario de Cascadas. There, a hiking trail leads to several waterfalls through the cloud forest. Mindo is located in a cocoa-growing region, and a couple of factories offer chocolate tours that demonstrate the whole process of transforming chocolate pods into chocolate treats. Samples are included! 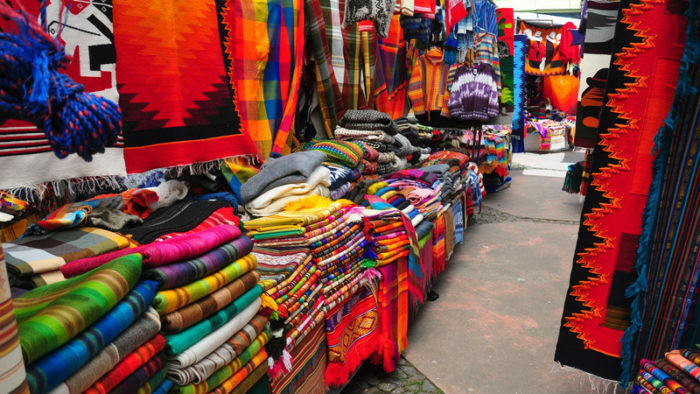 Otavalo, two hours by road north of Quito, is world-renowned for its craft market. Although it does attract a lot of visitors, this is not a show put on for tourists. Otavalo’s market has been one of the most important markets in the Andes for hundreds of years. The indigenous Otavaleños excel at weaving and textile making, and still wear their traditional clothing. While the town has grown and become more commercial over the years, it is definitely worth a visit. The market is at its largest and busiest on Saturday, when locals shop for food and everyday items. However, you will find handicraft stalls operating every day of the week on Plaza de Ponchos. About three hours by road from Quito, the Quilotoa Caldera is a water-filled crater 3 kilometers (2 miles) wide, located near a village of the same name. Created by the collapse of a now-extinct volcano, the lake takes its stunning blue-green color from volcanic minerals. The water’s color changes with the light, making the lake incredibly photogenic. You can walk around the rim in four to five hours, or descend into the crater to the lake in 30 to 60 minutes. Climbing back up is much harder. Don’t forget that you are at 3500 meters (11483 feet), so altitude will be an issue. The area also lends itself to mountain biking, horse riding, and visiting small traditional villages. On a clear day, you may see Cotopaxi in the distance. 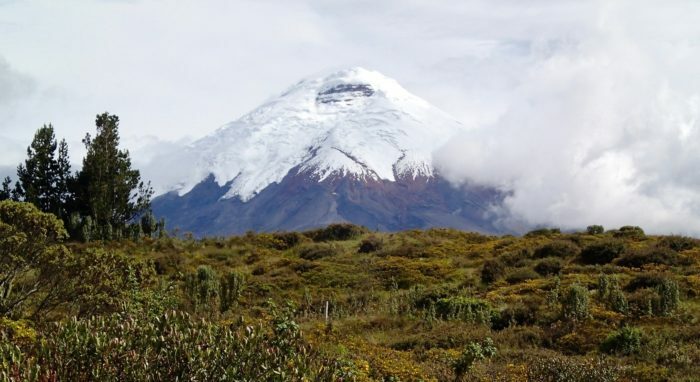 If you’re looking for remoteness, silence, and an active volcano, Cotopaxi may be just the place. The closest town is Machachi, which is 30 minutes down a bumpy road. The National Park itself is at 3600 meters (11811 feet) so the temperature drops close to freezing at night, and you will really feel the altitude here. Cotopaxi is a stratovolcano that last erupted in August 2015, and is the second highest peak in Ecuador at 5897 meters (19347 feet). When the clouds part over its snowy top, it is spectacular. Even though you cannot currently climb the volcano, you can still enjoy the park’s peacefulness and crisp air on daily walks from your accommodation. The landscape consists of a variety of bushes, flowers, and boulders, with views opening up in all directions. 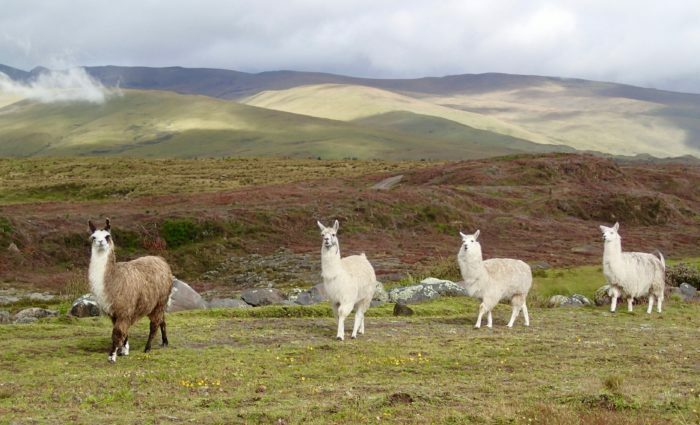 You will probably encounter herds of inquisitive llamas along the way. Tempted to pay this captivating country a visit? 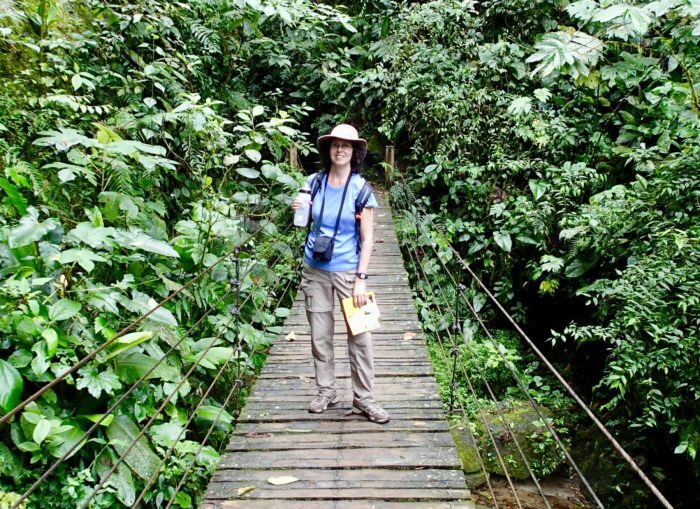 Check out Peregrine’s tours of Ecuador.